For more information contact Randy. Category 1/2/3* $85 $1,550 / $180* 15 / 3* 80.5 mi. 3 mi. 60 min. Category 3/4** $85 $970/$180** 10/3** 64.4 mi. 3 mi. 50 min. Master-40+*** $85 $970 / $180*** 10 /3*** 64.4 mi. 3 mi. 50 min. Category 5 $75 Awards 5 32.2 mi. 3 mi. 40 min. Junior-18 $45 Awards 5 32.2 mi. 3 mi. 30 min. Women $75 $970 10 32.2 mi. 3 mi. 30 min. 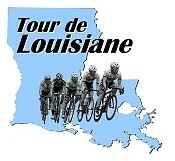 Preregister Online at BikeReg.com. Online registration closes midnight, Thursday, June 6, 2019. Race day registration and number pick-up opens at 7:30 a.m. and closes at 8:30 a.m. at Stony Point (Stoney Point Baptist Church, 19144 LA-450, Stoney Point, La. - see map). From the I-12 at Hwy. 190, go North 3 mi. on 190 to Covington and continue over the bridge at Covington. Continue North 1.9 mi. to the intersection with La. 25 (190 turns West here). Continue North on La. 25 another 10 mi. to Folsom. From Folsom continue North 2.7 mi. to Hwy. 450. Turn left on 450 and continue 11.5 mi. to the Stoney Point start/finish area at La. 10. All race-day registrations are $10 additional. Race Programs with event details will be available at registration and on event website as soon as possible. 9:00 a.m. Saturday: 16-mile loop in the rolling hills near Stoney Point, LA. near Franklinton. Course is open to traffic. 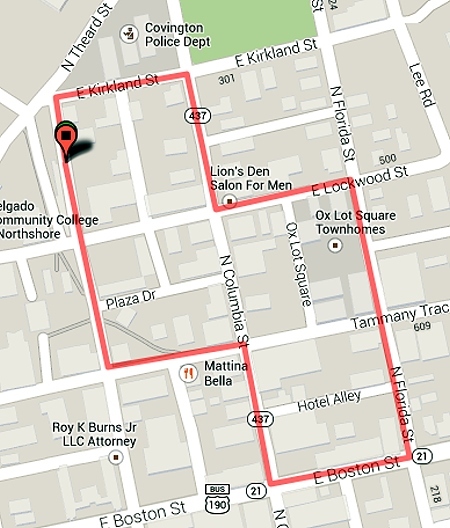 (See map in race program). Park ONLY in designated areas! 5:30 p.m. Saturday: 3 mi., flat, one-way time trial starting at Lakeshore High School, 26301 Highway 1088, Mandeville, LA. Riders start at 30-second intervals, in order of race numbers, grouped by class (gaps in sequence will occur between classes). Course will be open to traffic. 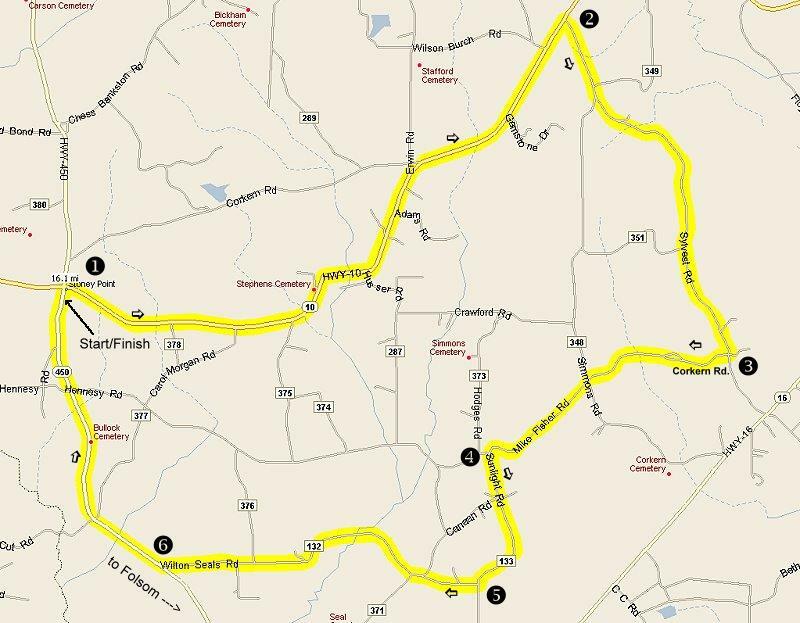 For 2018 the Criterium returns to the Town of Covington with the start/finish near the old train depot and Tammany Trace Trailhead. Please see the Race Bible for course details. A number of restaurants will be open during the criterium, some of which are on the course. 7:30 am - Juniors, 30 min. 8:15 am - Women, 30 min. 9:00 am - Category 5, 40 min. 10:00 am - Master-40+, 50 min. 11:00 am - Category 4, 50 min. 12:00 am - Category 1,2,3, 60 min.